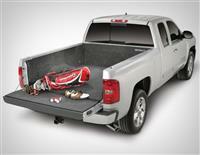 BedRug is the ultimate in truck bed protection. Finally an ALL-PLASTIC liner that looks and feels like carpet yet provides an ULTRA TOUGH work surface! 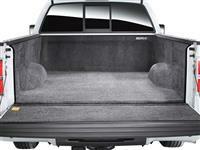 BedRug's performance bed liner redefines the way you use your truck. One day gravel or concrete blocks... the next precious antiques BedRug can handle it all.� BedRug is custom formed to fit the contour and shape of the bed for a snug, tight fit, with a smooth "knee friendly" floor surface.� A perfect complement to tonneaus or caps but is also designed for exterior use as well and will not absorb water. 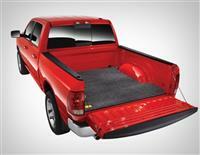 Get the look of a spray in bedliner without damaging your truck bed finish. BedTred offers features superior to any spray-in liner, including dent & cargo protection, quick & easy install, and a lifetime warranty. The textured anti-skid surface is UV resistant and surpasses any other liner on the market today. BedTred is a 5-piece liner that installs with hook and loop fasteners. 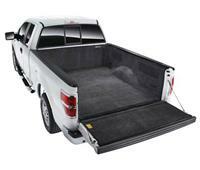 No drilling, no sanding, no prepping, and no damage to the truck bed. Quick and easy installation by one person in under 30 minutes. 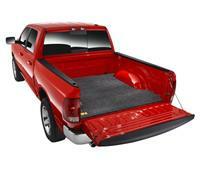 BedTred Bed Liner is made of 1/4" exclusive TPO composite bonded to a layer of water proof, closed-cell foam. 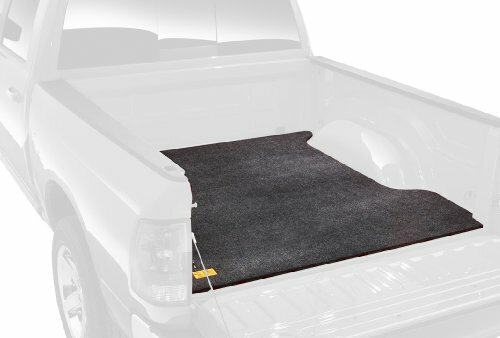 The textured surface prevents cargo from sliding, while the thick foam and non-woven fiber backing prevents damage and will not scratch your truck bed. 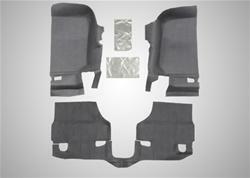 BedTred textured surface prevents cargo from sliding or shifting during transport. Designed to act as a shock absorber, BedTred provides cushion for a knee friendly surface, and protects the truck bed from any impact damage. BedTred is custom formed to fit the contour and shape of the bed for a snug, tight fit, with a smooth, flat surface. 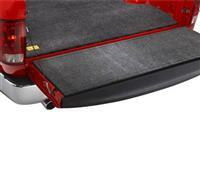 Maintains the original shape and features of the truck bed, and full access to any factory tie-downs. This fully custom-molded die cut system provides a rugged spray-in look in minutes without the need of any labor intensive prepping or removal of seat brackets or center console. Sold as a separate front and rear kits, individual pieces can be quickly removed and hosed off after a long day on the trail if desired. The BedTred material is 100% waterproof, won�t absorb water, and will never stain, stink, mold or mildew; dries quickly and resists all harsh chemicals. 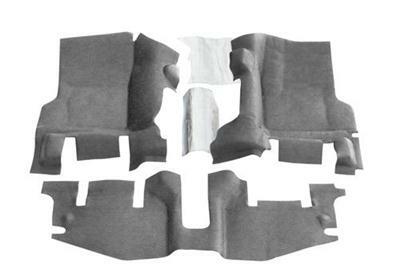 The 1/4-inch thick 100% polypropylene foam insulates your interior from road noise and heat. BedRug liners vs. spray-in liners? Quick install and removal - no removal of seats or center console necessary. Heat and noise insulation and removal or grinding of factory paint not necessary. 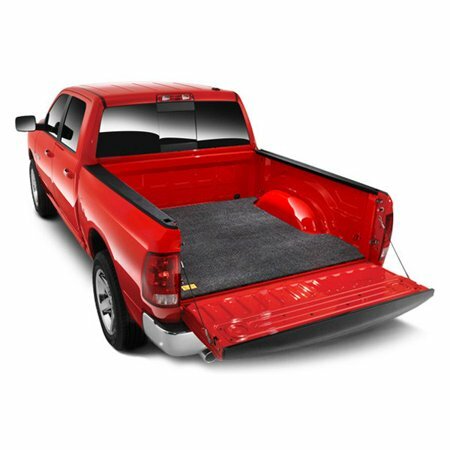 This BedRug Mat is designed specifically for trucks that have an existing spray-in liner, featuring a 3/4" thick custom molded foam backing to provide a smooth work surface, using only hook and loop fasteners to install without needing to drill holes into your truck bed. 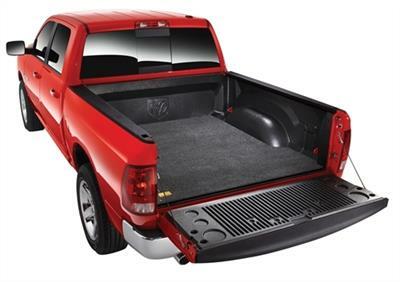 Much like the BedRug, the BedRug Mat is made to fit your specific make and model, filling in the ribs and contours of the truck bed to provide a smooth, void free loading surface. It will give you the look and feel of carpet in an ultra-tough 100% polypropylene (essentially plastic) product. 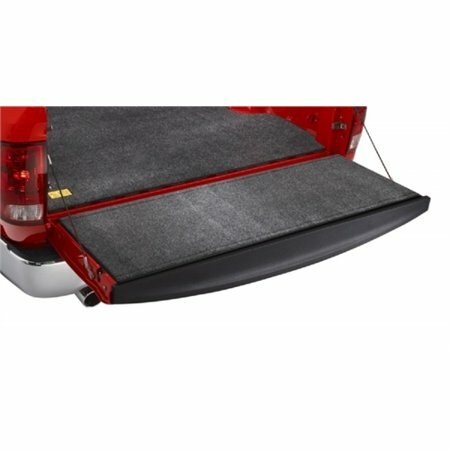 This mat will protect your truck while standing up to whatever you can throw at it: from mulch to bleach. With its cushioned foam non-skid surface, it will keep everything in place while protecting your cargo and your knees. The BedRug Mat material is fade and UV resistant. Made of foam similar to that used in life jackets, it doesn't absorb water and will not mold or mildew. Water will simply run off the surface, out the factory drain holes in the truck bed and will dry in as little as 20 minutes. Just clean it with a hose, power washer or vacuum and your BedRug Mat is good as new. 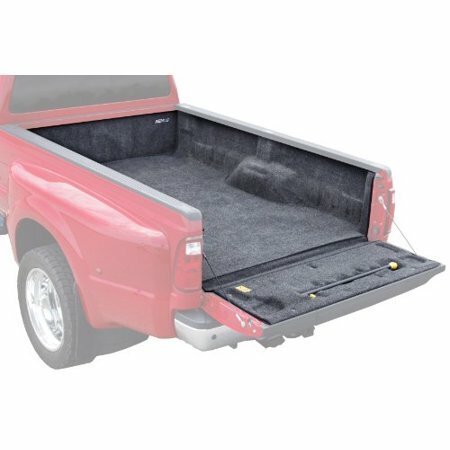 BedRug is the ultimate in truck bed protection. 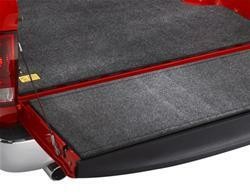 Finally an ALL-PLASTIC liner that looks and feels like carpet yet provides an ULTRA TOUGH work surface! 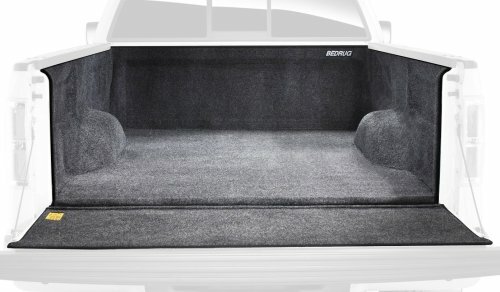 BedRug's performance bed liner redefines the way you use your truck. One day gravel or concrete blocks... the next precious antiques BedRug can handle it all. BedRug is custom formed to fit the contour and shape of the bed for a snug, tight fit, with a smooth "knee friendly" floor surface. A perfect complement to tonneaus or caps but is also designed for exterior use as well and will not absorb water.